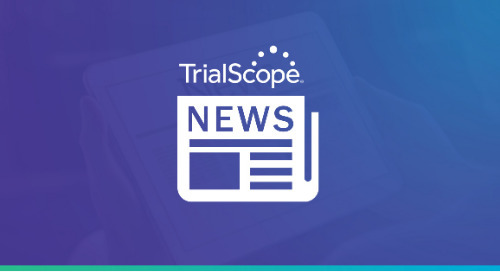 JERSEY CITY, N.J., June 26, 2017 – TrialScope, the global leader in clinical trial transparency and compliance solutions, announced today that its Chief Strategy Officer, Thomas Wicks, will host a session titled “Strategic Benefits of Shifting Toward a Global Approach to Clinical Trial Disclosure” on June 27th at 10:15 a.m. Central European Time Zone. The Company is also a sponsor of the conference, which takes place on June 27-28, 2017, in Barcelona, Spain. As clinical trial disclosure regulations around the world continue to grow, sponsors are under increased pressure to keep track of which data needs to be disclosed where. Wicks’ session will deliver solutions for sponsors to harmonize data across all channels, streamlining the disclosure process. “Sponsors are at risk when they fail to establish a clear, coordinated approach to transparency and data sharing,” said Thomas Wicks, CSO, TrialScope. “I am excited to put a spotlight on these issues and provide actionable solutions as regulations, both in the U.S. and abroad, become stricter. CBI’s Publication and Clinical Trial Transparency Conference is the only conference that brings together publication planning and clinical trial registry, transparency and disclosure professionals to discuss strategies and benchmarking for coordinating results postings in registries and journals and ensuring transparency and compliance with global regulations. The post TrialScope to Present on Global Clinical Trial Disclosure at CBI’s 6th Annual Publication and Clinical Trial Transparency Conference appeared first on TrialScope.